The 1980s and 90s were decades of extreme contrast. The asset price bubble, and its attendant greed, excess and hubris, lasted from 1987 until spring 1991. The following years represent a long period of relative economic decline, inept handling by government, a steady evaporation of confidence by business and voter alike, and increasing cases of bankruptcy and unemployment. Although there are varying opinions as to the causes of the bubble economy, much of the blame can be attributed to government policy – in particular, directives given by the Ministry of Finance and also the Bank of Japan, almost certainly under instructions from the MOF. Though the government / bureaucracy is involved in almost every area of Japanese life, it tends not to take responsibility, a theme that crops up repeatedly throughout Japanese society. The Plaza Accord of 1985 had allowed the dollar to devalue against the yen and mark: In just 2 years, the yen appreciated by 51% against the dollar. 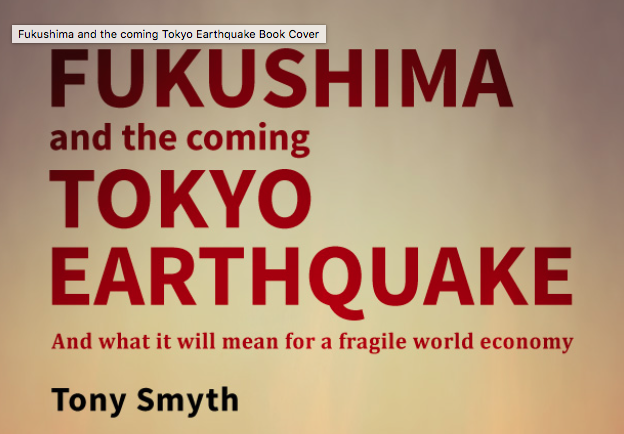 Suddenly, Japan became a country awash in extra cash. If one image can summarise the entire 1980 to 2000 period it would be a graph illustrating the value of commercial land during that time. Imagine an elongated Matterhorn, its slopes rising steadily during the early 1980s, then steeply in the late 80s, until a pronounced peak in early1991. After this, a steep dive followed by a slow steady decline to the foothills of early 1980s prices. In 1989, the Nikkei Stock Index reached an all time high of 38,957. Contrast that with March 2009, post Lehman Brothers/Wall St crash, when the Nikkei briefly bottomed out at 7,055. 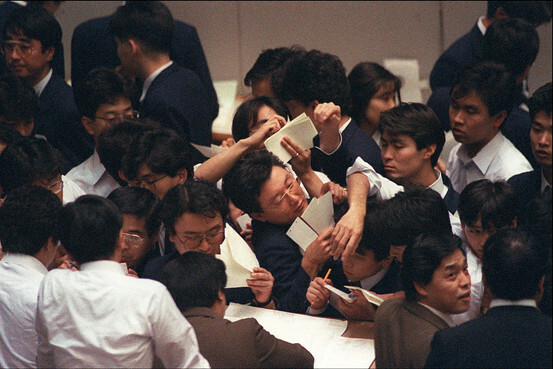 Though the Japanese stock market was grossly overvalued during the late 1980s, and is an arena where much unpunished insider trading has taken place, it was mainly the feeding frenzy of land speculation that caused massive bank debts when Japan’s bubble burst. As detailed here, during the bubble, the nominal value of urban land rose to absurd levels. Yet the value of any piece of realty can only be what people are willing to pay for it. No matter how wealthy a nation has become, prices can only be leveraged up for so long. Businesses and wealthy individuals sometimes bought real estate without necessary collateral, on the assumption that it could be sold to some sucker at a higher price. Eventually, the hot potato could no longer be passed on. What remained were relatively worthless assets and the bill. Real estate values were allowed to underpin so much of the Japanese economy that any sharp fall created a vicious downward spiral that eventually forced further reductions in land prices. It was the sheer scale of this mass folly, together with government procrastination and unwillingness to make tough decisions in the aftermath, or cut loose some its traditional supporters to rectify the errors, which caused Japan’s recession to be severe and prolonged. The recession was made far worse by a massive capital-spending binge that continued well into the 90s. Companies took advantage of the surging stock market to raise cheap, equity-linked debt and invest almost 20% of GDP1. The principal reason for this was that the financial system and tax regime encouraged it. The effective corporate tax rate in Japan is just over 50%. This caused companies to try to shield profits, notably through the urge to depreciate assets as quickly as possible. At the time, it seemed more sensible to overinvest in plant than have profits be devoured by tax. The result was that corporations squandered fortunes on automation and labour saving devices, built factories that ran far below capacity, and office blocks that contributed nothing to productivity. Huge projects planned in the 1980s went ahead in the early 90s because aborting them would have been exceedingly difficult; rather like the momentum of a giant oil tanker causing it to need fifteen miles of ocean to come to a halt. This capital outlay also continued because many could not believe that the dream was over. Japanese companies generally plan for low profit levels and maximum market share to create an asset base to increase business. However, this strategy is very vulnerable to economic downturn. 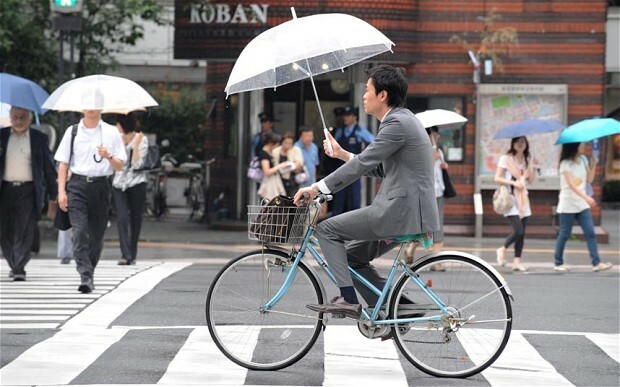 There is a Japanese adage that – paraphrased- says “this is like a gigantic bicycle business. Stop pedalling and you’ll fall down”. Corporations had somehow convinced stockholders that they didn’t really need dividends, and that the value of stock would be so much more if they just held on to it. This situation has been changing gradually, as Japanese have become more sophisticated investors, partly because many millions of Japanese are going overseas to work for extended periods. It took a long time to realise that, in the United States and in Europe, stockholders received capital gains and dividends. Nevertheless, for many Japanese corporations, shareholders are still a mere afterthought. During the bubble period, corporations and wealthy individuals had purchased Western masterpieces, often at highly inflated prices. Some companies used paintings as illegal financial tools. On a smaller scale, businessmen used paintings as gifts to influence prominent politicians, or to lubricate real-estate deals. When the bubble burst, banks were forced to expropriate artworks in lieu of unrepaid loans. Crate after crate came into the hands of financial institutions. Tens of thousands of paintings, including works by Picasso, Chagall, Matisse, Braque and Renoir, worth at least $3 billion on today’s market, were sequestered, stored underground in Tōkyō and Ōsaka, in a country prone to occasional major earthquakes. Most seem to have been eventually sold, but at a value may have declined by as much as 70%. 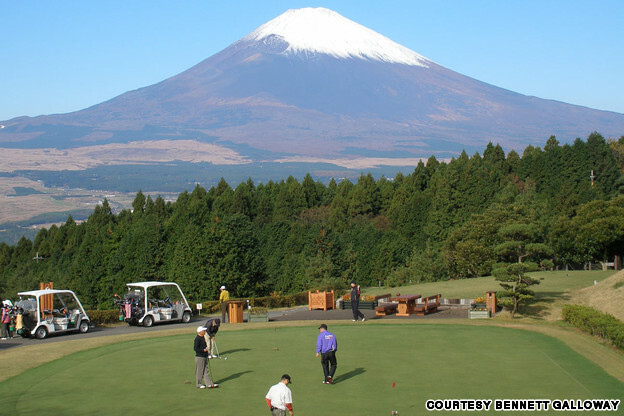 During the 1980s, golf courses offered an opportunity for rich Japanese to display their wealth, something that is difficult to do within Japanese cities. Golf courses were also the preferred location for businessmen to socialize with customers, socializing being a very important part of Japanese business practice. The human and emotional elements of a relationship must first be solidified before the subject of crass commerce is broached. A salesman for a medical company will play golf with a doctor four or five times before casually mentioning, “Oh by the way, our company has a new product …” Both sides understand the rules of this mating ritual. As Japanese land prices were astronomical, averaging about $82 million per small 18-hole course, many clubs were built by borrowing money from future members. Prospective candidates were required to deposit between $49,200 and $820,000. Despite this, demand far outstripped supply: golf memberships were bought and sold like stocks, sometimes for outrageous sums of money. Prospective members’ deposits were used, not only to create the course, but also to invest in real estate and stocks. The economic nosedive left some course developments incomplete, the club in receivership. When investors demanded a return of their deposits, the corporations owning the clubs were unable to pay. Some members had invested using borrowed money which they couldn’t repay, or used their savings, or even mortgaged their homes. As the deposit periods continued to elapse, increasing numbers of golf clubs went bankrupt. During the 1990s it was estimated that $78 billion of refunds eventually came due, a figure so large that some economists warned that it could “lead to a spiralling deterioration of the economy”. Imagine – financial crisis, bankruptcy and despair brought on by the sedate and gentlemanly game of golf. Quite apart from the debts incurred by reckless lending, speculation and poor investments, Japan Inc has another enormous debt that the overmanned Japan National Railways had accumulated well before the recession had begun. The break-up and privatisation of JNR at the end of the 1980s created smaller, more efficient companies, but did little to reduce outstanding massive debts. Even after redundant JNR land had been sold, and the new JR entities forced to pay some of the parent company’s arrears, Japan was saddled with a mega-debt of $229.6 billion, a figure so enormous that payment on the interest alone was a source of grave government concern even before the recession became severe. Decades later, much of this debt is still on government books. Besides jusen affiliated with banks, there were also many independent ‘non-banks’, which lacked resources to cushion themselves in times of adversity. Many of the nōkyō agricultural credit cooperatives lent massively to jusen without any collateral, in the belief that they would never fail, since they were “subsidiaries” of the Finance Ministry. During the late 1980s, jusen were said to be relending 60% to 70% of the loans they received to speculators, to enable them to buy up real estate. When land prices went into a tailspin, the jusen began to fail, threatening to bring down the entire Japanese banking industry. The debacle cost the Japanese taxpayer an initial $5.62 trillion, with the Finance Ministry proposing using a further $8.2 billion to help dispose of future losses inherited in the process of liquidating seven failed jusen. The rescue plan went ahead in 1996, despite fully 87% of the public being strongly opposed – so much for demos kratos, the power of the people. During the bubble period, construction companies had also extended huge loan guarantees to jusen on behalf of subsidiaries and property developers. With the collapse of numerous development schemes, 70% of such loan guarantees went sour, leading to a total debt of more than $410 billion for the industry as a whole. These delinquent debts threatened to have a devastating effect on Japan’s economy, as 580,000 construction firms and 6.5 million workers were involved, fully 10% of Japan’s workforce. Many of the Japanese government’s repeated attempts to resuscitate the economy, principally via massive investment in public works projects, which to the casual observer appeared inept and inordinately wasteful, were operations aimed at securing the rural vote that kept the LDP in power decade after decade. It was no coincidence that banks and construction companies are major donors to the LDP, and that nōkyō were a vital element in LDP electoral success. Decade-long recession or not, first priority goes to protection of rural fiefdoms. Previous Previous post: Why do the Japanese study English? Japan has no more future! Japan is a sinking boat! Japan has already become a complete shithole!